​What are they: Asian Clams resemble the clams you would find in a grocery store, but can range in color from yellow, brown, grey or black. These clams also have distinct ridges on the shell which are more prominent than in other clams. They can grow to 2 inches in size. 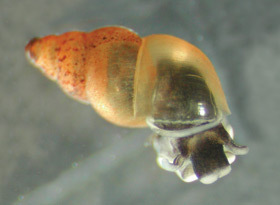 Asian Clams live on the bottom of larger streams and rivers. Here they use a siphon to filter water or muddy substrate for organic material to eat. Asian Clams can live almost entirely covered in muddy sediment, which is not common for fresh water clams in the US. Asian Clams do require warmer water, and can not survive water temperatures below 35 degrees Fahrenheit. 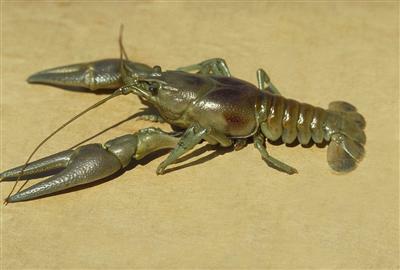 They can survive very warm water and can be found alive in water up to 95 degrees Fahrenheit. Asian Clams are hermaphroditic meaning they can make fertilized eggs by themselves. This means that one clam can start a population. They can reproduce in large numbers and quickly cover a whole area of streams. 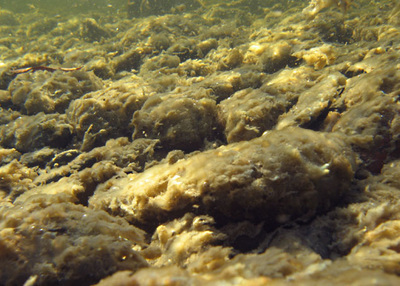 Asian Clam populations are prone to collapses as water temperatures drop. This causes large population crashes and booms, this can affect oxygen levels. Where are they native: ​ Asian Clams are found in streams in south and eastern Asia. How are they spread: It is unclear how Asian Clams made their way to the US. They were first found in Washington state in 1938. 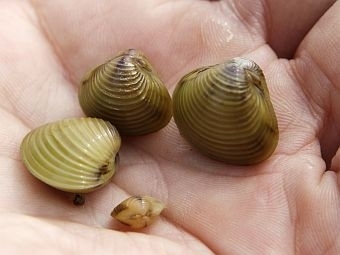 Asian Clams may have been introduced as a food source. Asian Clams grow larger in their native range and are a common food source. They also could have been accidentally moved as commercial oysters were moved to the US. It is thought that Asian Clams have been spread from one stream to the next on fishing and recreation gear. Clams can survive long periods of time out of the water, and this may allow them to be transported large distances. Asian Clams also may be intentionally moved to introduce as a food source. Where are they currently: Asian clams are now found in 44 states, and is in many fresh water bodies where temperatures stay warm enough. 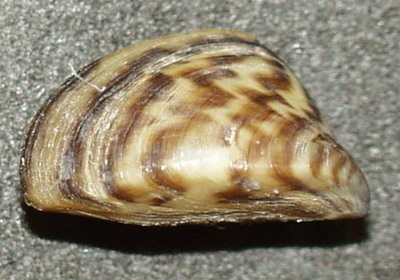 Asian Clams have been found in the West Branch of the Susquehanna River, and many of its tributaries. Asian Clams have not been found in Kettle Creek. ​How to prevent them: Never move live clams or other mollusks. 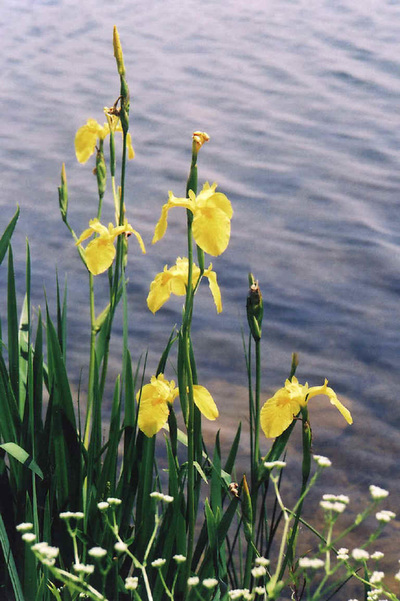 These may be invasive and impact the water way you release them into. Clean all gear, bait buckets, or clothing that comes in contact with water infected with Asian Clams. Especial care should be taken with removing any and all mud from gear. 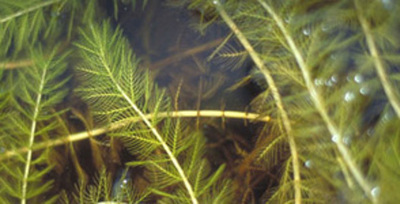 Larva can be found in mud and transported to new waterways in the mud left on gear.